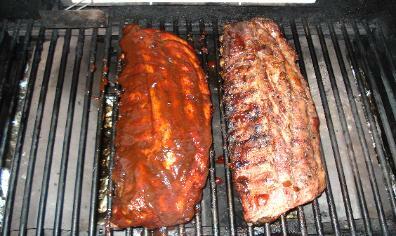 about their ribs, I love it. 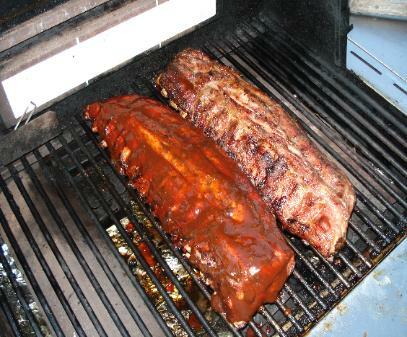 rib fest, here we go step by step for some great eats. What we need to gather. 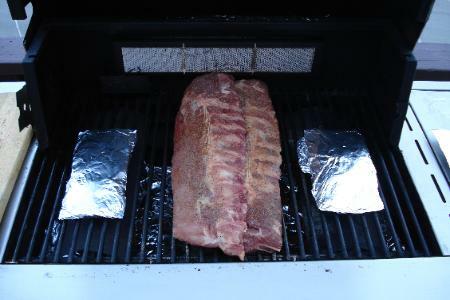 If your grill has a smoke tray and it works (mine doesn't) use it. If it doesn't make the smoke generators shown below. 1. 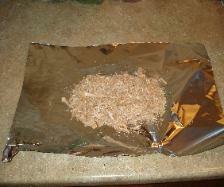 Place apple or alder wood chips on foil. 2. 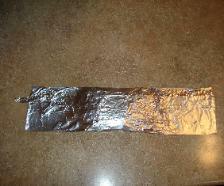 Fold up and poke 4-5 small holes in top. 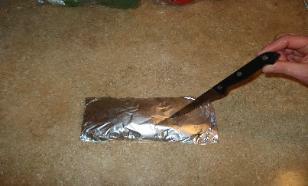 Here is a simple but good rub I use. 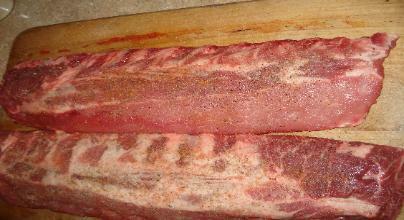 Cover ribs with Seasalt, Onion powder, and Cracked pepper. 1hr 15min. 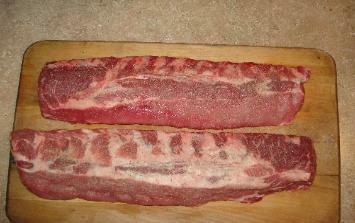 turning and flipping ribs every 15min. or so. burner that is NOT ON! ruin all your hard work so far. 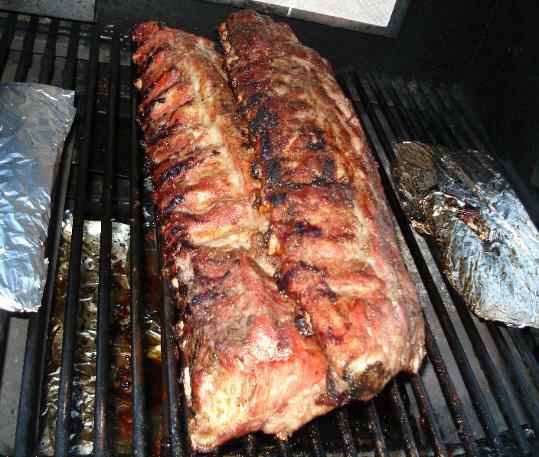 spread remaining coals out evenly. For gas grill turn all burners on low. allowing the sugars to carmalize. layers. Sauce and flip, every few min. DO NOT LET THEM BURN! DO NOT LEAVE THEM UNATTENDED!